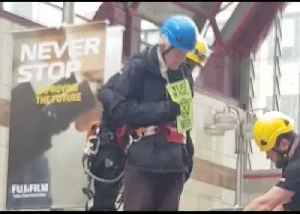 A man, reported to be in his eighties, was among the Extinction Rebellion protesters who climbed on top of a train at Canary Wharf DLR station in London on April 25 as part of the group’s two-week.. 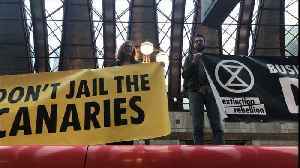 Extinction Rebellion protesters have blocked the London Stock Exchange building and climbed onto trains during rush hour in Canary Wharf on the final day of protests. 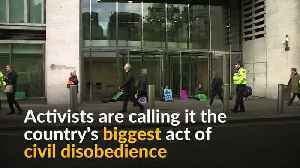 Climate protesters from Extinction Rebellion staged a protest outside the London stock exchange earlier this morning (April 25). 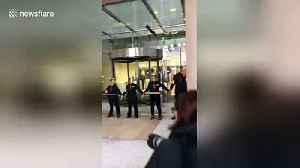 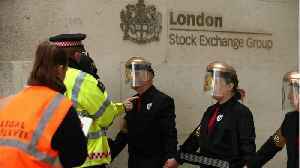 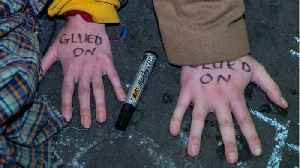 Demonstrators glued themselves together in a line and blocked the..
Six protesters, five men and one woman, from Extinction Rebellion have glued themselves to an entrance to the London Stock Exchange. 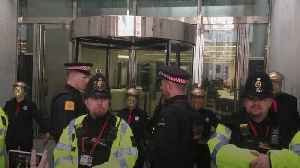 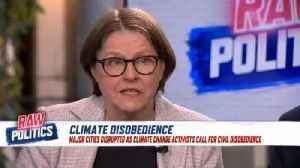 The Extinction Rebellion demonstrators glued themselves to entrances..
British police arrested 750 climate change activists over six days during protests at various landmarks in central London, as Oxford Circus opened to traffic. 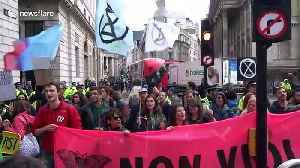 More than 700 climate change activists blocking roads at some of London's most famous landmarks have been arrested over the past six days, police say.